A new sport where the goals are just above our heads. 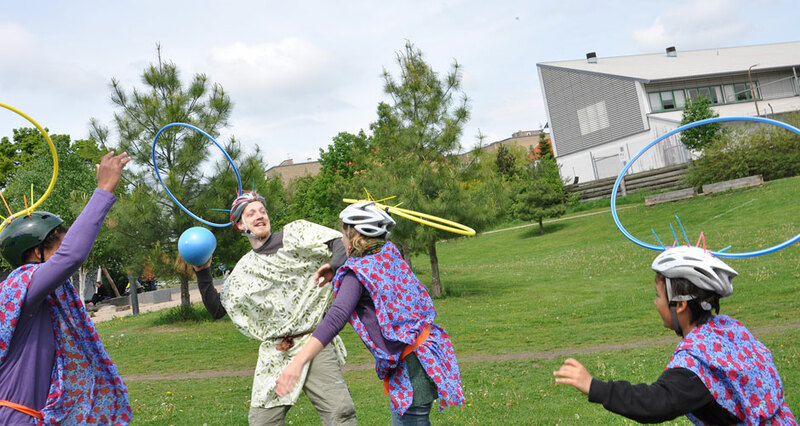 Bicycle Opener is a bicycle team sport where the goals are on the players’ heads. 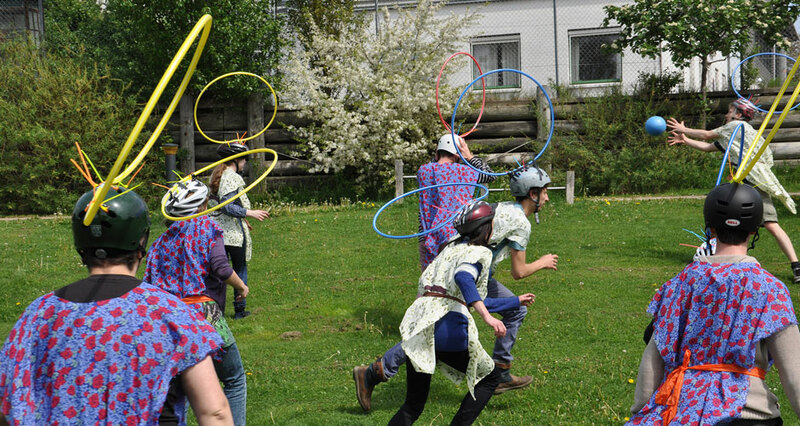 Each player has a hula hoop attached to their bike helmet, which is a potential goal for their team if they can manage to throw the ball through it. The Institute for Aesthletics is dedicated to playing sports as artistic practice. Sport is already a form of culture, yet it is often separated from the rest of the arts because of its competitive nature. Aesthletics is the combination of the most engaging aspects of the arts and sport: an open minded, creative, experimental, and competitive physical culture. The Institute invents new sports, creates sport performances, and promotes and teaches sport as art. The Institute grew out of the invention of the new sport of Wiffle Hurling in 2005. Since then, it regularly organizes sporting events, participates in art events and festivals, collaborates with artists and art centers, and develops aesthletic workshops and educational curricula. 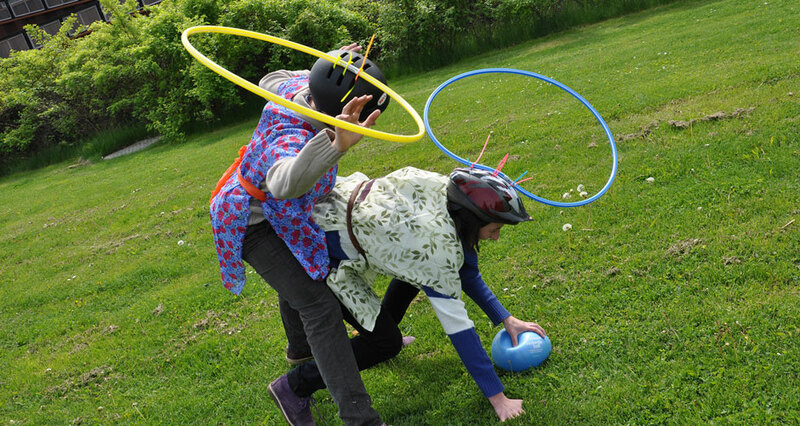 The Institute continues to expand the idea of sport as art, and looks forward to each new project as an opportunity to create, connect, and play.